Hello! So those of you who follow me on social media may have seen that I've been working with my local shopping centre, Freshney Place, Grimsby. The day job often means wearing many different hats, from social media manager, copywriter, blogger and even stylist. As Freshney Stylist I work with East Coast Pictures, it is my job to style the seasonal shoots for the centre which means sourcing all the clothes, putting outfits together, styling the shoot and then writing style pieces for them. The result of which, I thought I'd share on the blog today! As we head into the new season, Freshney Place Stylist, Becky Barnes, shows you how to achieve the latest trends for all the family. The floral embroidery trend was huge last season and continues to be throughout Spring Summer, with beautiful blooms adorning everything from jeans and dresses to shoes and bags. You can go as full on as you like with this trend by mixing prints or keep it simple and use one statement piece to show off this gorgeous look. For this trend I headed to New Look and chose a classic stripe blouse which features the all important floral embroidery, I teamed it with a great pair of distressed denim jeans and pretty soft peach gucci-inspired loafers. If jeans aren't your style, you can always swap them out for a pair of peg-leg trousers. Soft pinks and khaki tones are everywhere this season, but it's not just for the girls. Pink for guys is a really strong trend and the key to working it is in the shade. Go for soft, muted tones like salmon, dusky roses and pale baby pinks. Wear with denims and khaki for a fresh on-trend look. 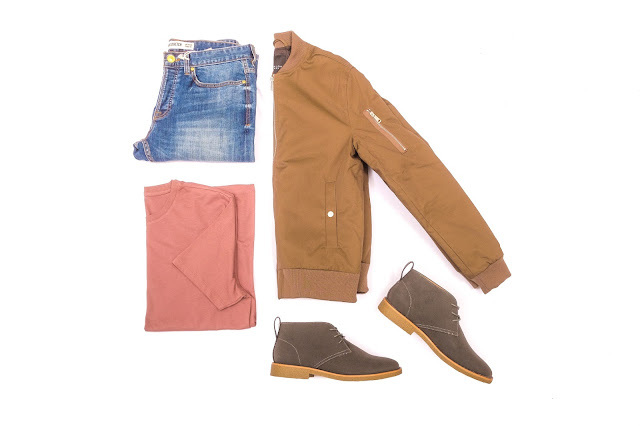 I went for a dusky rose t-shirt and built the look around that, teaming it with the ever popular bomber style jacket in that all important khaki shade, I went for a classic slim fit jeans and grey dessert boots to finish off the look, all items can be found at New Look. Try swapping out the bomber jacket for a khaki blazer if the look feels a bit young for you. Laid back and cool, Scandinavian inspired fashion has been around for a couple of years now. To achieve the look, keep colours to a monotone pallet of black, white and grey. Think comfortable, casual and unstructured. Clean lines and loose fitting garments are key. Now that the trend has extended into children's fashion there are lots of cool cute combo's appearing on the high street. This two piece from Primark is great, the grey marl fabric is the ultimate in laid back comfort and the cute 'awesome' logo across the front will make your little chap the most stylish guy at play group! You will have surely seen that unicorns and mermaids have been a huge trend in children's and adult fashion alike and those gorgeous ice-cream colours are set to continue into the Spring Summer season. Pinks, turquoises and gorgeous pastel shades are so much fun and really easy to work into any little girls wardrobe. These minty green jeggings are just one example of how you can incorporate ice-cream shades into your little one's summer wardrobe. They have plenty of stretch so they're great for running around in, teamed with a classic nautical style t-shirt and cute pumps, this outfit is great for the kids holidays and days out. Fashion isn't just about clothes. Jewellery, although sometimes classic, can be influenced by trends too. Rose gold has been absolutely everywhere for the last year, from interiors, to stationery and even hair, so it's no surprise that the rose gold trend has come full circle back to jewellery. 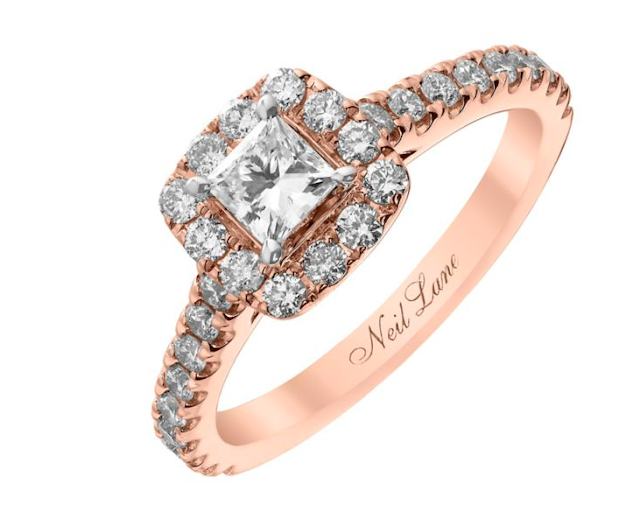 This Neil Lane 14ct rose gold 0.80ct princess cut diamond ring is exclusive to Ernest Jones. Make a statement by popping the question with this stunning ring or celebrate a special occasion by treating yourself to this beautifully crafted piece of jewellery. After all that shopping you're surely in need of a tasty treat. BB's seasonal muffins are enough to make anyone's mouth water. 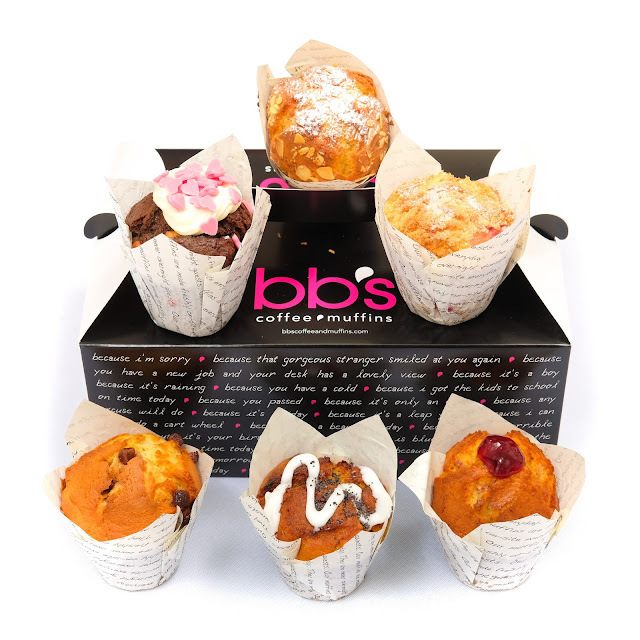 Baked fresh on-site these gorgeous, fluffy muffins are full of flavour and go perfect with a cuppa. The apple and raspberry crumble muffin combines everyone's favourite pudding with fresh seasonal raspberries. The tangy duo combined with the sweet sugary crumble are so delicious and a great way to build up those energy stores and hit the shops again! So there you go guys, that's what I've been up to work wise. And let me tell you, styling muffins is such a chore because you get to eat them afterwards as well. I know, how distressing.